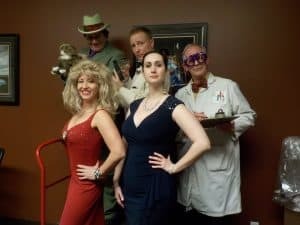 June 10 (Sunday) The Daughters Of the Nile fundraise with PEGASUS to support Shriners Children’s Hospitals, presenting the Comic Murder Mystery Dinner Theatre, THE SPY WHO LIKED ME ©, a spoof of ‘Casino Royale’ with James Bond. Yvel Blowhard, megalomaniac villain, plans to gain vast wealth & rock the world economy. CSIS orders the secret service to stop him. Agents Cane Brawn & Whisper Wind with tech genius, CUE, & seductive temp agent, Seconda attempt to foil the plot. But all bets are off when secrets, lies & treason lead to murder! © 5 pm Cocktails, 6 pm Show, Doors Close at 5:45 pm. $50 + gst including show & buffet. At the Al Azhar Shrine Temple Fireside room. For tickets call Lorna McLaughlin at 403-254-0994 or Lorraine Weller at 403-239-1705. For show details contact Pegasus at greatfun@shaw.ca or 403-246-4811. 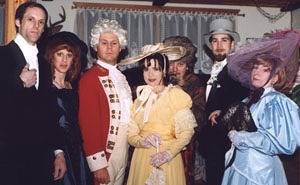 And we’ll be presenting a HOLIDAY/ XMAS THEMED Comic Mystery in Nov. & Dec. at FORT CALGARY.